Blockchain technology will fundamentally transform all industries by virtue of it being a trusted and permissioned information sharing platform. In the traditional model, when companies do business with each other they share information via point to point communication leading to information silos, disputes and reconciliations. In the blockchain model, information is shared across the businesses on a shared ledger, leading to a single version of the truth. In addition, business logic can be run in a trusted manner on top of the trusted data with smart contracts. Supply chains, with the many handoffs that occur, is the perfect place to apply this technology. Blockchain, together with IoT and AI is a trifecta of technologies for supply chains! This presentation will show why, with these technologies, supply chains will never be the same, illustrated by two blockchain supply chain solutions that IBM has developed. The first is IBM Food Trust, a transformative application of blockchain technology for the food ecosystem. The second is IBM TradeLen, a transformative blockchain platform for global trade. The lecture will show what it takes to build these transformative solutions: getting the product right, getting the technology right, convening the ecosystem, getting the governance right, ensuring the right elements are in place for interoperability with other solutions, etc. 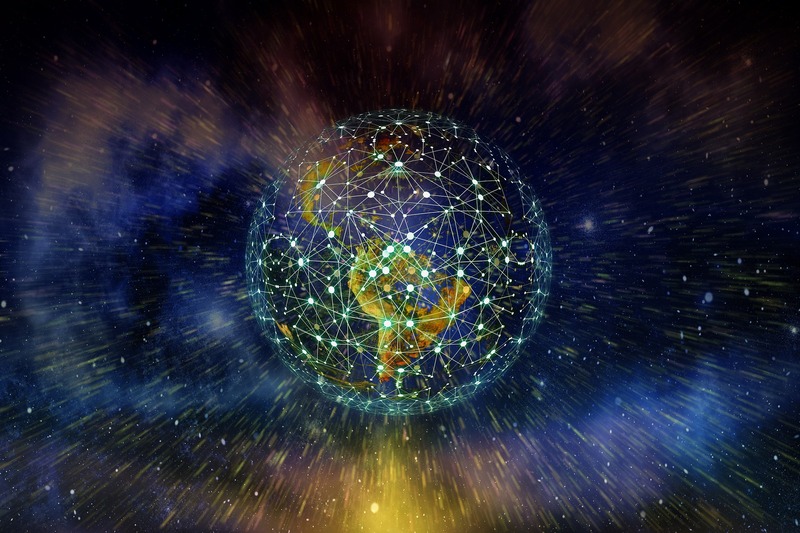 Several examples will be described that demonstrate that the value of these solutions grows exponentially as providers and users build and deliver services using these data sharing platforms. These solutions are laying the foundations for future supply chains technologies in a way that one can say is analogous to pouring concrete for the inter-state highway system or laying cable for the internet. 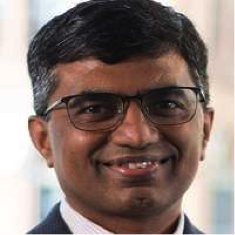 Ramesh Gopinath is Vice President for Blockchain Solutions at IBM. He is responsible for the management and development of IBM’s blockchain technologies and solutions. Previously he was the global leader for blockchain at IBM Research where he incubated IBM’s blockchain business. Raman began his career in IBM Research and over the years he has led the development of IBM products and services in a broad range of areas including cognitive (speech and text), collaboration, mobile and cloud. He was instrumental in developing the IBM Food Trust blockchain solution to support food safety that is now being used by many of the world’s largest food companies. And he helped develop IBM’s Global Trade Digitization technology currently being used by Maersk and other companies for shipping supply chain management. Ramesh earned his BTech at the Indian Institute of Technology, Chennai and his MS and PhD at Rice University. On March 8, 2019, in the John Wesley Powell Auditorium of the Cosmos Club in Washington, D.C., President Larry Millstein called the 2,405th meeting of the Society to order at 8:00 p.m. He announced the order of business, that the evening’s lecture would be livestreamed on the internet, and welcomed new members to the Society. Blockchain is a form of distributed ledger that Gopinath believes will fundamentally transform business processes in all industries. Traditional commerce occurs by parties transferring information point by point to one another. With blockchain, parties send their relevant information to a trusted, decentralized data-store thus ensuring that all parties share a single version of events and information. In so doing, Gopinath said transactions will be more efficient and fewer disputes will arise. The ledger technology for commerce is necessarily different than the technology for currency. Whereas cryptocurrency ledgers are permissionless and operated by anonymous entities, Gopinath said business desires to store data in a place with limited access managed by known parties. Gopinath highlighted the enterprise blockchain technologies being produced by Oracle and IBM for financial services and the health care industry. He then focused on two supply chain solutions. Gopinath said the various parties in the farm-to-table supply chain share little to no information with each other. The lack of information sharing makes it difficult, for example, to trace contaminated lettuce to its source and identify where else it was distributed. When such events occur, the public loses trust in the food ecosystem. Responding to this circumstance, IBM developed the “Food Trust” solution, a concept it demonstrated with a Walmart mango in May 2017. They asked how long it took to trace a package of sliced mango back to its farm. The traditional mixed digital and paper-based method took almost seven days to identify the mango’s specific farm in Mexico. The IBM Food Trust blockchain solution identified the farm in 2.2 seconds. Gopinath said this pilot proved the IBM concept. IBM is now developing a similar process for multi-ingredient foods, like ice cream or baby food. He then addressed the business challenges and objectives for implementing the Food Trust. At present, the Food Trust has more than 5 million bocks in its blockchain and is one of the largest non-crypto blockchain networks in the world. All Food Trust data is owned by the party that uploaded it. Ultimately, IBM intends to build the Food Trust as a platform and for the food ecosystem to join it through additional primary and third-party applications. Gopinath then addressed the global trade ecosystem. He said 80% of goods American consumers purchase spent at least some time on a container ship. Global supply chains involve many hand-offs and tend to be paper-based and document heavy. In these chains, data is trapped in silos, processes are time consuming, clearance is subject to delays, and operations are complex and costly. Blockchain can streamline this process by providing all parties with trusted, real time information. Gopinath said that to get industry buy-in, a blockchain solution needed to start with a large industry player. In March 2017, IBM and Maersk announced plans for “Trade Lens” to accelerate supply chain digitization. Trials soon began and by December 2018, IBM made Trade Lens available for any party to join for a fee. While the Food Trust and Trade Lens are evolving independently, Gopinath says that parties will be using both systems requiring them to network together. Interoperability with other networks is therefore the next step in providing business value for blockchain technologies in commerce. After the question and answer period, President Millstein thanked the speaker, made the usual housekeeping announcements, and invited guests to join the Society. At 9:36 p.m., President Millstein adjourned the meeting to the social hour.